SHOWROOM 1982 Suzuki RM125Z. Very nice/Show Quality and super LOW hour bike. First let me apologize for pulling the listing about a month ago. Once the bike went over $2K I didn’t feel good about the unpolished wheels and spokes as I stated in previous auction, and I didn’t want any disappointments on the buyers end. Bike is still on standard bore, I purchased from the original owner where it sat in his garage for all these years. The bike had the original tires on it when I brought it home. Frame has been powder coated, all hardware has been re-zinced, Aluminum has been polished, new bushings in the swingarm, Forks were disassembled and new seals/fluid. Rear shock has been rebuild by Y&S racing. Motor has been untouched other than removing the head to verify it’s standard bore status and clutch cover to change impeller seals/o-ring and inspect for water damage.. Nice and clean (have photos) and clutch basket shows NO wear (grooves). Bike starts right up and runs great! (See Video) Everything sounds nice and tight, just as it did on day one! No oil in the water/no water in the oil. Still has the orignal sprockets with no wear (see photo) Very little carbon (almost none) in the perfect silencer. 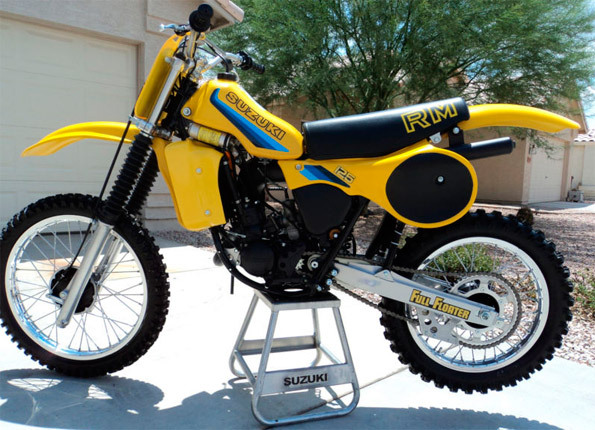 All new cables, plastic,tires, etc… You will not find a nicer 1982 RM125 with less time on it! As this thing is just about perfect and as close to “out of the crate” you will get. And it does come with a new Arizona title in my name, so international bidders welcome. This is a “No Reserve” auction. Bike is sold AS-IS and buyer is responsible for shipping. If you Google “motorcycle shipper” there are dozens of companys. 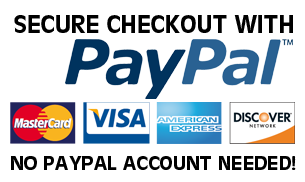 If you would like more pictures or info on the bike please ask, I will require a $250.00 paypal deposit within 24 hours of auction end and the balance in form of a bank transfer (due to paypal fees) I will be listing a 1976 RM250A in the near future, It is perfect and “Roger Decoster” signed, so if interested, please mark me as a favorite seller.Thanks for looking at my auction.